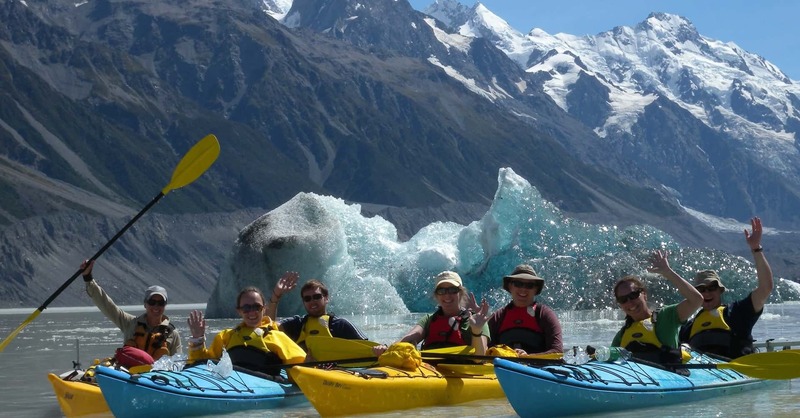 Glacier lake kayaking is the ultimate way to experience the natural wonder of Aoraki Mt Cook National Park. Become part of the environment, paddling beneath towering mountains with views of the majestic glaciers and mighty Aoraki Mount Cook. This fantastic ecotourism option by Southern Alps Guiding is a great way to leave the crowds behind and explore the Tasman Glacier Lake. Trips suit everyone from experienced kayakers to those with little paddling experience. Our team is happy to help Aoraki Alpine Lodge guests with information about glacier lake kayaking.